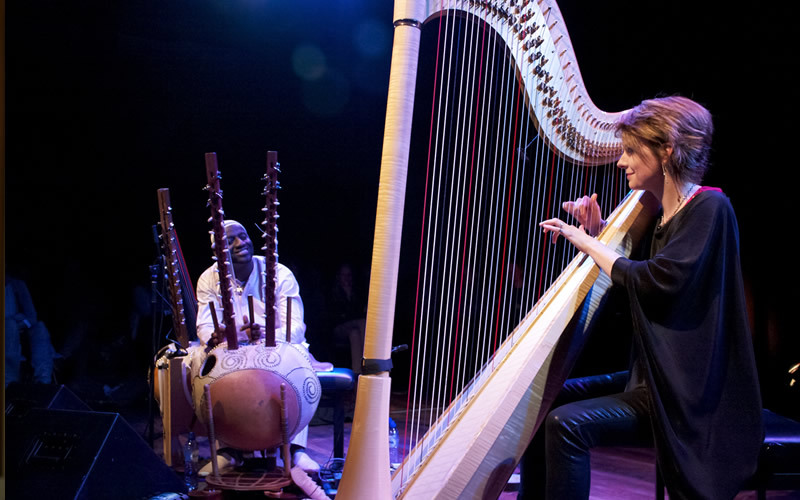 This sublime collaboration between two virtuoso musicians – Welsh harpist Catrin Finch and Senegalese kora player Seckou Keita – delivers a stunning adventure in world-class musicianship. Following the huge success of their debut release Clychau Dibon back in 2013, their long-awaited second album Soar launches in April 2018. Drawing on the bardic traditions of both Wales and West Africa, the album takes flight on the wings of the osprey, the magnificent bird of prey recently returned to Wales after centuries of absence, which makes its annual 3,000-mile migration from the coasts of West Africa to the estuaries of Wales.